This is some of the craft ideas. I came up with for my sons party. 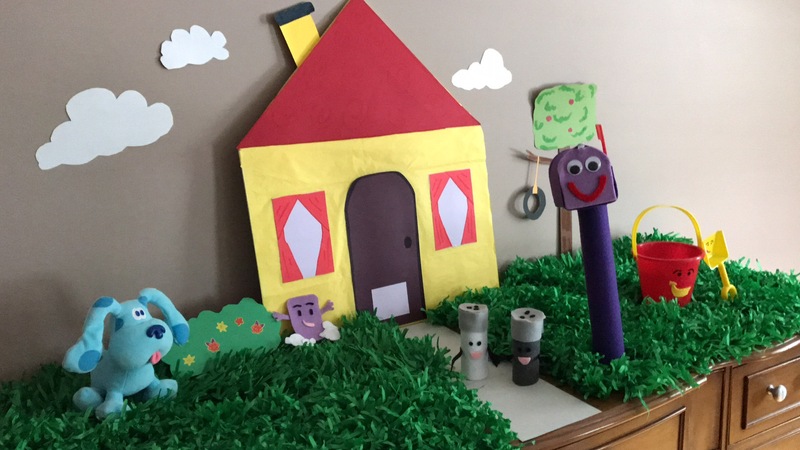 I repurposed some paper grass from an old craft project. I had this on display in the dinning room. It looked super cute in the background. 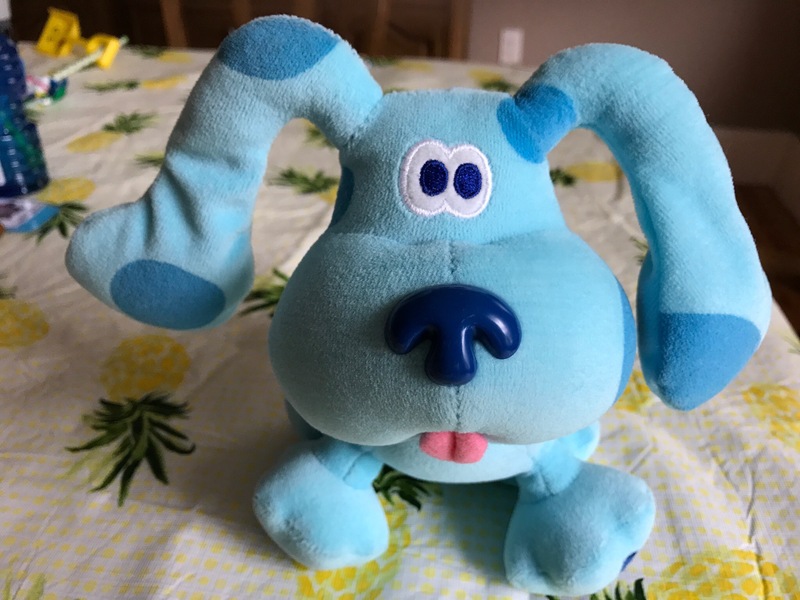 I pulled out my 1990’s Blue’s Clues stuffed animal. I purchased the pail and shovel at PartyCity. 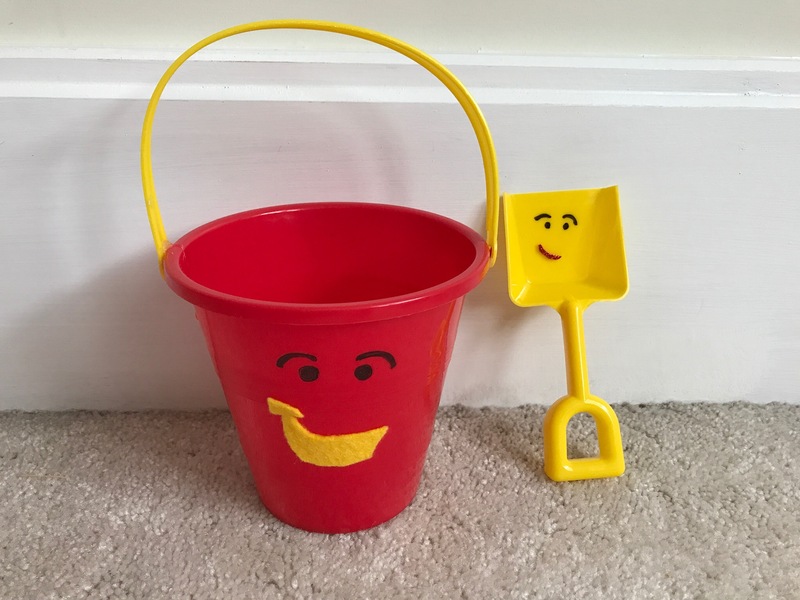 The pail and shovel was made with felt and a sharpie marker. 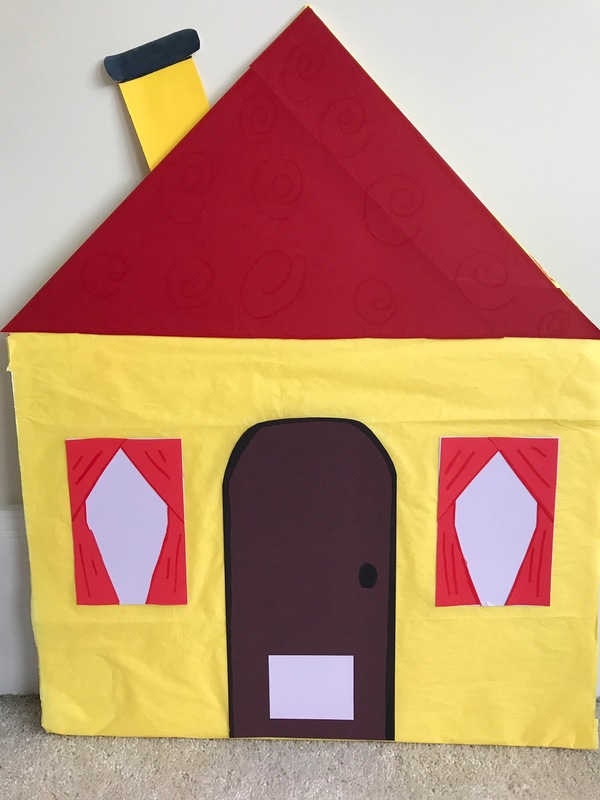 The house was made with foam board. I used tissue paper and card stock to put it together. 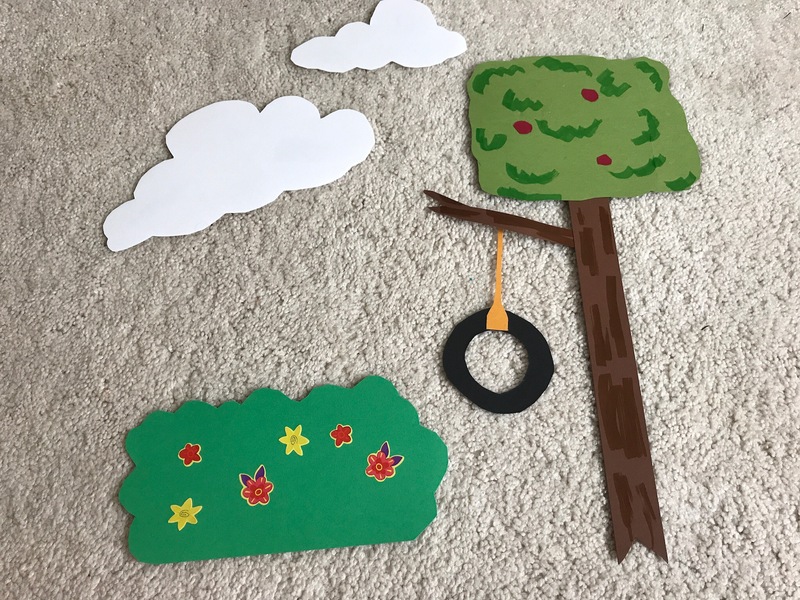 The tree and clouds and bush were all made from freehand cutting and cardstock and paper glue. I used some flowers stickers for the bush. A marker was used to color in the details on the tree. Slippery Soap, Mr. Salt and Mrs. Peper were made with felt and tacky glue. 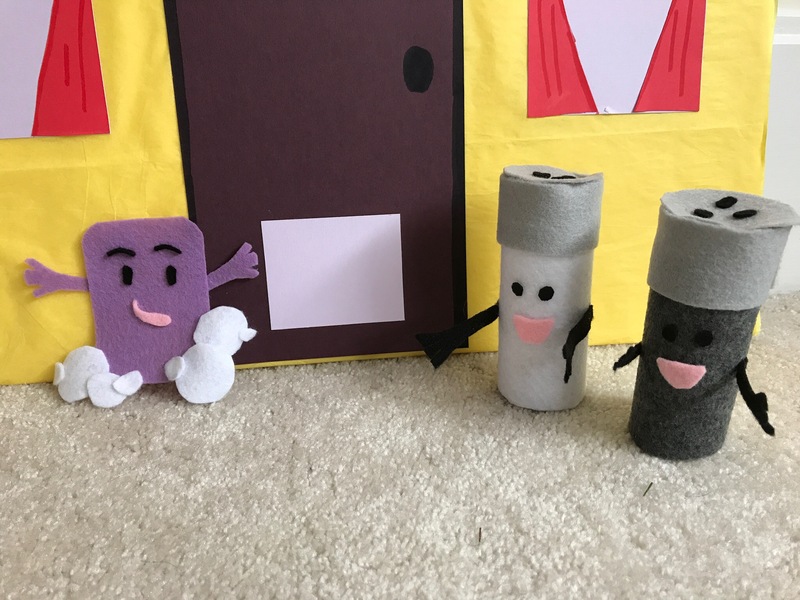 I used a cardboard toliet paper roll to shape Mr. Salt and Mrs. Pepper. The mail box was a tin box purchased from Oriental Trading. 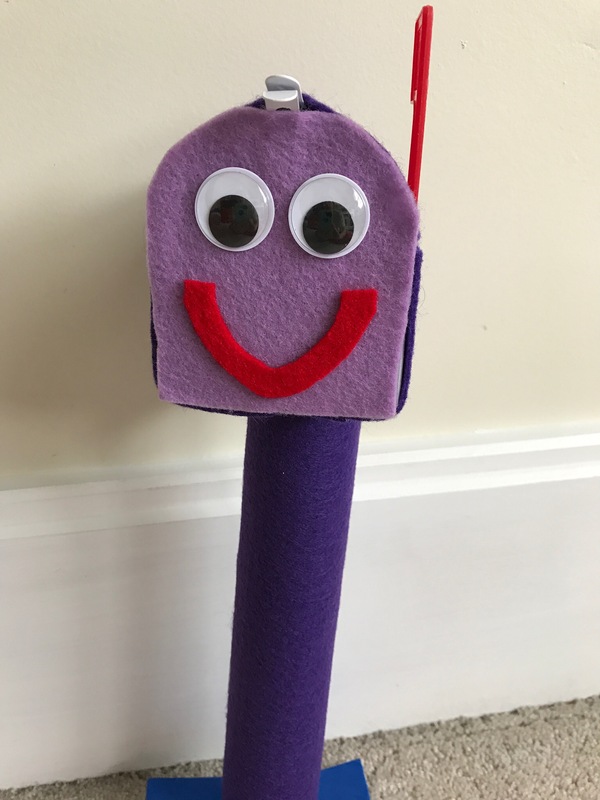 I used felt and tacky glue and a cardboard paper towel roll.